Playoff time is here, and we’ll keep up with your favorite content throughout the months of April, May, and June. As always, be sure to check out the Projections page as well as Awesemo’s NHL Player and Stack Rankings. Subscribe to the Awesemo.com YouTube Channel to get notifications when “Hit The Ice” (4PM ET) goes live! For more details on our NHL articles and videos, check out our NHL Content Schedule! Since this article is released early in the morning, it will be updated with notes if we get line-changes throughout the day. The top line for the Stars created more shot attempts and chances than any line we’ve seen so far in the playoffs in a single game, and they’ll have the exact same matchup again tonight on home ice in Game 4. We should see the Seguin line avoid significant time against the Nashville top line, and instead get to go up against the 2nd and 3rd lines for the Preds. 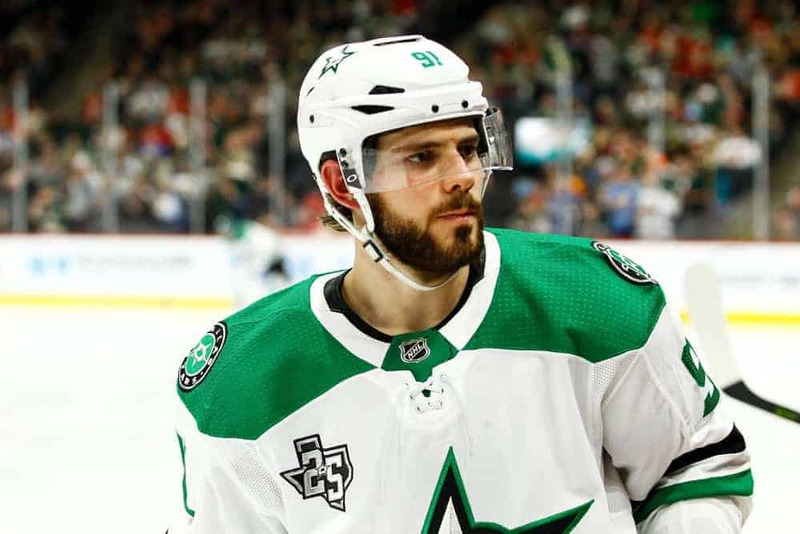 In Game 3 Seguin and Radulov combined for a ridiculous 34 shot attempts, 25 Scoring Chances, and 13 High-Danger Chances in about 21 minutes of ice time at all strengths. While we can’t quite expect a repeat performance, they’ve shown already they can generate fantasy points at insane rates in this matchup. At just over $18K on DraftKings, they make for a great GPP option on a short slate where we should see huge COL1 chalk. The 2nd line for the Bruins played with some incredible pace Monday night in Toronto, and there’s no reason to believe much will change in Game 4 this evening. Coming off a win, we should the same line-matching going on for the Leafs, which would mean the Tavares line will go up against BOS1, while the Matthews line will go up against this BOS2 line. These lines traded shot attempts and chances in Game 3, which should come as no surprise, as the Leafs allowed the 2nd-most Corsi Against per 60 and 4th-most Scoring Chances Against per 60 on home ice this season. For just $13,400 on DK, they are one of the better lines to pair with one of the top spend-up stacks in tournaments.